In an ideal world the perfect playroom is where all toys are stored and played with. But the reality is often very different. The playroom can turn into a dumping ground with no room to actually play in it! But help is at hand with our 8 perfect playroom ideas to inspire you and delight your kids! First things first, before embarking on putting together the perfect playroom you really have to empty the space of all toys and do a bit of decluttering. I know, easier said than done, but get the kids to help and be ruthless! Have a keep pile, a thrash pile and a charity pile. Once you have done this, you will quickly know what sort of storage solutions you need and begin the process of pricing those and deciding where everything is going to fit. It is best to get items that can grow with your kids and your ever-growing selection of toys, books and games! Remember, if the budget doesn’t always stretch to new, check out online deals sites for pre-loved storage solutions, or visit local thrift or charity shops and choose items that can be up-cycled with a little bit of paint and imagination. Instead of spending a fortune on getting the walls painted beautifully, turn them into an art gallery for your children’s artwork. From pre-school onwards, you will have a never-ending stream of masterpieces coming through the door, so this idea offers a solution to 2 problems – storage and design! You can add them directly to the wall or add a string high up on the wall and use pegs to hang the artwork. 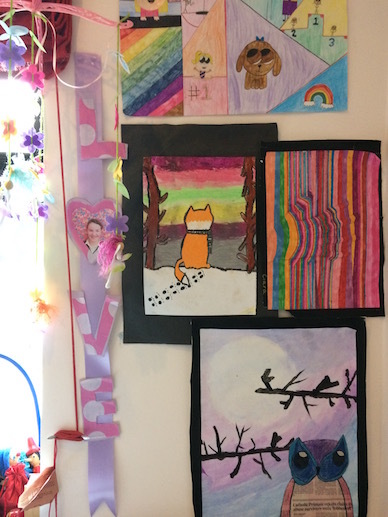 I have also framed some of my kids artwork to display it on the walls. And I have seen clipboards nailed to the wall so that art can be clipped in and changed around for a new look every week! You could also paper your walls with maps or photographs to create a uniquely designed space for your children. 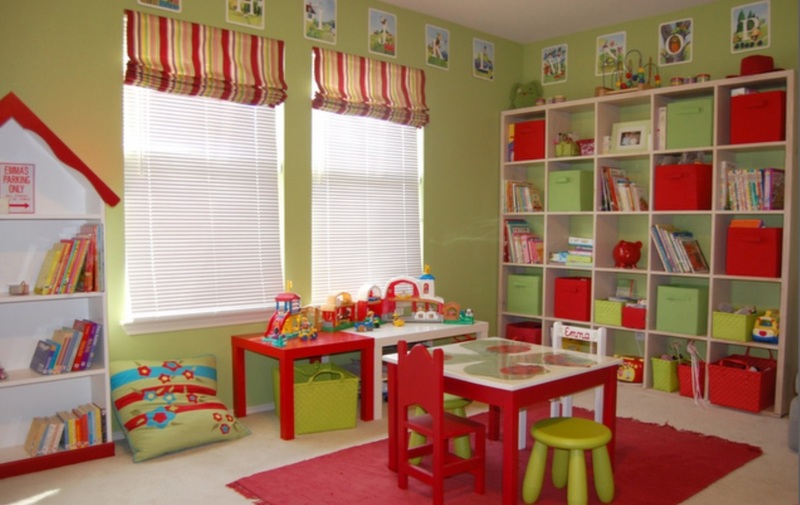 When planning your perfect playroom, remember it is the toys at eye level that will be played with most. So when adding storage, bear this in mind. It is a good idea to move toys around every couple of months so that all toys get played with. Or implement a “one in one out” rule. Storage cubes are a great way to keep toys in order. 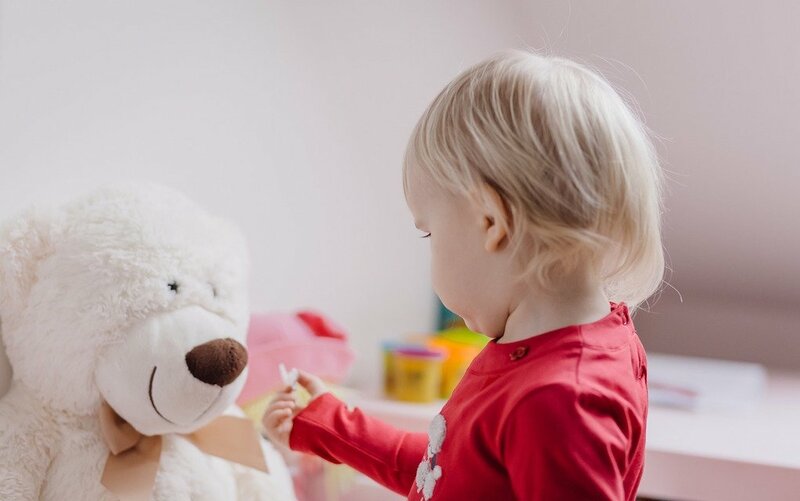 They can usually be placed flat, to give your child a surface to work on or store larger items like garages or dolls houses at eye level, or if space is at a premium, placed upright. When my girls were younger, I bought a set of cube storage shelves with some storage boxes that fitted into the inserts and we had an art cube, a dolls cube, a dressing up cube, a shop/kitchen cube and a lego cube. We left a few shelves free for books and to store larger toys and as they have grown, we have just added to the books and now have a nail bar cube, a hair design cube, a study notes cube and they display gifts and statement pieces in the empty spaces. Inserts come in many different colours and materials so they are also a great way to add colour to your playroom. And if you have several storage cube shelves, you could arrange them so that some are flat and some upright to create a clever seat for kids to use. It is best to have age appropriate seating and workspace in your playroom. Sturdy plastic chairs and tables can be picked up cheaply and are easy to wipe down after play. For the best use of space, consider a table with storage under the top to keep paints, brushes, paper or even sand. And brighten up the playroom with different coloured chairs. Alternatively up-cycle an old table by cutting down the legs and painting it to match your colour scheme or using blackboard paint on the top to let their creative side out. 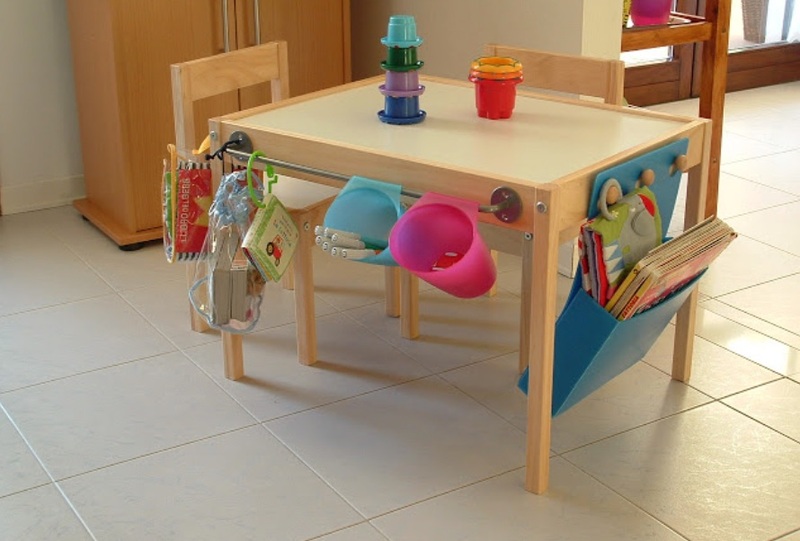 When up-cycling wooden furniture you could also add hooks around the sides to hang pots from to store chalk or colouring items and add a pole where a roll of paper could be hung and bits torn off as needed or so that the paper can be rolled across the table for drawing on and then torn off to display when finished. 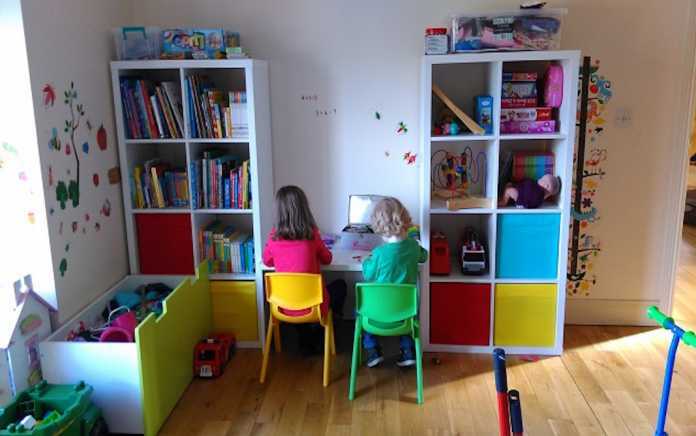 As your children grow, you may wish to sell on or donate your smaller furniture and replace it with study desks and chairs so they can use the playroom as a place to do their homework or add beanbags or a sofa so that they can hang out with their friends. In the perfect playroom, flooring can be quickly wiped down when spills occur. 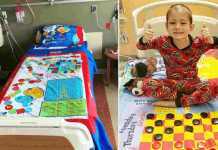 If your child likes to lie on the floor, purchase a rug with a non slip backing and if it can be washed in the machine, all the better. Alternatively have a few cushions on hand for them to use for activities. 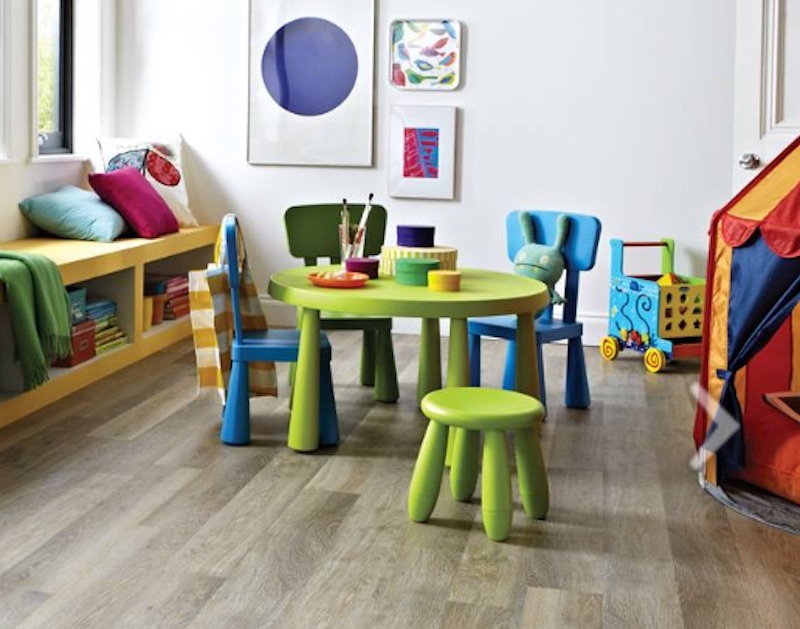 Laminate, solid wood or vinyl are all perfect playroom floor coverings. You May Also Enjoy: 12 of The Coolest Boys Bedroom Ideas and 14 Glorious Girls Bedroom Ideas that Aren’t Just Pink! 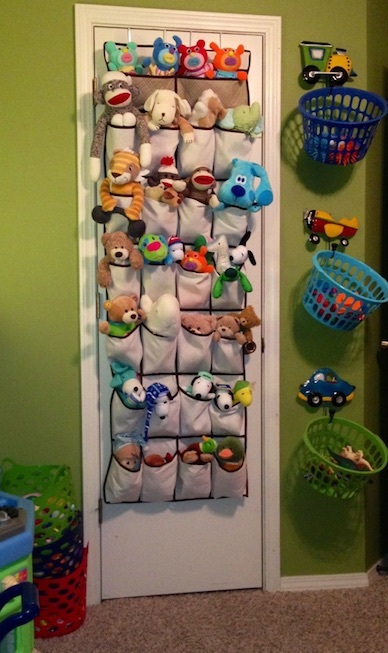 From chairs to storage nets or baskets, adding some hanging storage or hanging seats frees up floor space for smaller playroom spaces. Remember the backs of doors too. Using over-door shoe racks to store lego, colouring items or dinky cars or dolls or over-door hooks to hang nets for soft toy storage all work well. Or you could add a rail around your playroom and use kitchen hooks to hang pots or baskets that can be filled with smaller items, taken down to play with and stored again after use. Check out the kitchen and bathroom aisles at the homeware store for alternative storage solutions to create the perfect playroom. 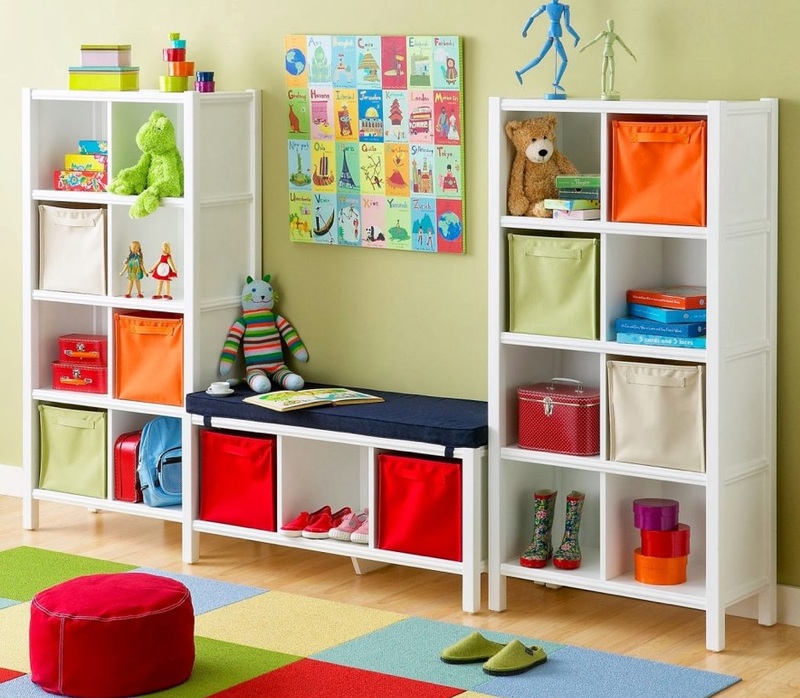 If the budget stretches, it can be a good idea to have storage built in around the walls of your playroom. Ideally they should be tall enough for you to add cushions for seating or use as a ‘shelf’ for larger toys to sit on so they can be played with at eye level. And have them hinged so that you can fill the insides with toys too. If your home does not allow for a separate playroom you could always dedicate a space within another room to create the perfect playroom corner. Use either a pop up tent or a screen that can be moved, to create the perfect place for kids to play and where toys and clutter can be hidden away. I also love the idea of adding a playhouse under the stairs. Or if the bedroom doubles up as the playroom, how about adding a high bed with space underneath that can be transformed into a playroom. These days you can even purchase tablecloths that hang down to the ground and are designed to look like houses. I hope I have inspired you to create the perfect playroom. If you have any tips that I have missed, please share them with us in the comments box below. Next articleMykidstime Wins Blog Award for 3rd Year in a Row!